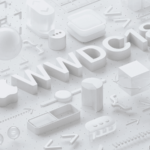 At this week’s annual World Wide Developer Conference, in addition to iOS 12, Apple unveiled a number of major new features and changes to the FaceTime and Messages apps. In addition to iOS, many of these new features will also be available in macOS Mojave, which will launch alongside iOS 12 this fall. The most notable changes to communication in iOS 12 come in the form of a brand new FaceTime app. The hallmark feature, group FaceTime calls, allows for an unprecedented 32 participants in one video call. The group call feature is accompanied by a brand new interface, which features three or four large squares knows as the presenters, which features people currently speaking, and a row of other participants on the bottom called the roster. Clicking on a participant will allow you a closer look at that person’s feed. The group call feature is heavily integrated with Messages as well. A member of a group chat can start a group call via a message in the chat, and people can join in as they are available. Additionally, Apple Watch users are able to join group calls via voice for on-the-go communication. The new FaceTime also integrates with Camera and Animoji, allowing for live filters and animations during calls. 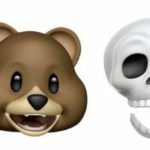 Users are even able to replace their head with an Animoji, and using the iPhone X’s facial recognition system, use facial expressions with the emoji-like characters. The messaging app is also receiving a number of improvements in iOS 12. The messaging app dock has been reworked to allow for easier access. Messages also now include ‘Mimoji’ on devices that support Animoji (currently only the iPhone X). The feature allows for users to create custom, human-like Animoji using deep customizability options. 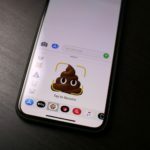 Users are able to add as many Mimoji as they want, and similar to FaceTime, they can invoke the new Messages camera to take a photo with their head as an Animoji. Messages’ new camera allows for an array of other new abilities as well. It comes with a number of filters and editing options provided by Apple, but also supports third-party filters and photo editing tools, which can be used to easily edit and share photos with friends. Stickers are now also supported in the messaging camera. In addition, iOS 12 also supports a new set of Animoji: the tiger, koala, t-rex, and ghost. 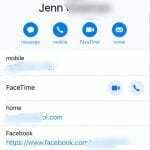 As discussed above, Messages and FaceTime are now tightly integrated allowing users to jump into calls once they’ve already begun. These changes alongside plenty others will be available this fall alongside iOS 12 and macOS Mojave. Be sure to stay tuned to AppleToolbox for more news and tips!